This week I’ve been writing original basslines on sus chords. And I’ve featured one of my lines in this video. This is the second time I’ve featured a fretless bass groove in my practice diary, and I’m planning to do many more in a variety of different styles and feels. You can find my first fretless bass groove video here. When I’m practicing a particular harmony, chord progression or time feel, I like to compose original bass grooves that fit in to what I’m working on. This week I was working on suspended chord sounds. And here is an original bassline I’ve written on four sus chords. Gsus, Bbsus, Dbsus and Esus. Each chord is two bars, and I’ve written the bass TAB for 4 string fretless bass. I’ll write more about the theory of playing on suspended chords in next week’s practice diary. But for now, this is just a mellow jazzy bassline that you can learn and practice. If you like it! I haven’t done a video about bass chord voicings for a while. So, this week I’ve decided to practice some of my favourite jazz chords, quartal chord voicings. Quartal harmony is a jazz term which means harmonising chords in intervals of a fourth. I did a video recently about playing modern jazz lines using 4th intervals. But I thought after making that video that I wasn’t telling the full story about using 4ths in modern jazz. 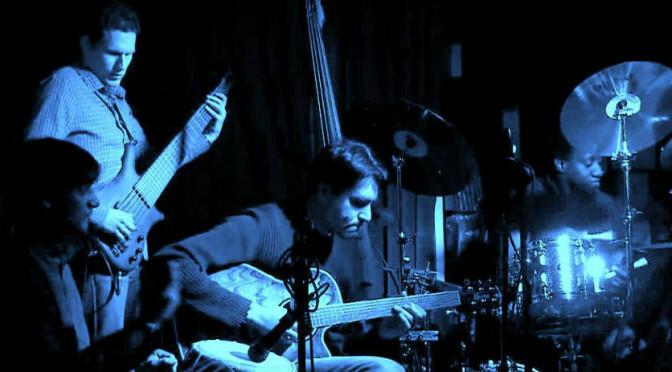 The quartal chord voicings themselves create a very distinctive modern jazz sound. It’s instantly recognisable once you become familiar with the sound. Chords are traditionally voiced in intervals of a third. Using quartal voicings in jazz became popular in the 1960’s after Miles Davis made quartal chord voicings a feature of his composition So What from the 1959 album Kind of Blue. Quartal harmony was a sound that then became associated with the great John Coltrane Quartet of the early to mid 1960’s. The chords were supplied by pianist McCoy Tyner, who is synonymous with quartal harmony, and one of my all time favourite jazz pianists. McCoy Tyner was using these voicings at a time when the Coltrane Quartet was playing a lot of modal jazz. Meaning that there weren’t lots of chord changes. And the emphasis was more on scalic improvisation over static harmony. So What is also a modal jazz piece. So, if you’re looking to apply some of these quartal chord voicings, then modal jazz tunes are a good place to start. The bass is setup for playing quartal chord voicings because the strings are tuned in intervals of a fourth. Which is why it amazes me that more bass players don’t use quartal chord voicings. Many of the chord voicings in the video can be played with just one finger. But despite this simplicity, they create a sophisticated jazz harmony sound. Here is an A major scale harmonised in 4ths. In the video, I’ve used the open A string as a root note underneath all of these voicings. When you play this, it doesn’t sound like a typical major scale harmonisation. That’s what’s so great about quartal harmony. You can take simple harmony, like a major scale, and completely change it’s character, without needing to change or add any notes. It works for all of the modes of the major scale. Here is the Dorian mode harmonised in 4ths. I’ve already mentioned that quartal chord voicings are extremely well suited to modal jazz. If, for example, you’re playing a modal jazz composition with long periods on a minor seventh chord. Like So What or John Coltrane’s Impressions. Then you’re faced with a challenge of how to make just one chord sound interesting. One solution would be to apply the dorian chord voicings that I’ve written out in the example above. It gives you seven different options for voicings that you could play over a single minor seventh chord (Am7 in the example above). You could use any or all of these voicings to help create a feeling of movement in the otherwise static harmony. You can apply quartal harmony to virtually any scale or mode. In this next example I’ve applied it to an A harmonic minor scale. The same chord voicings can also be applied to any of the modes of the harmonic minor scale, which includes the altered scale. One of the fourth intervals in the harmonic minor scale actually comes out as a major third. So, some of the voicings in the example above are not strictly quartal. Because they mix fourths with a third. But it still creates some interesting sounds and you can do your own experimenting to decide which of the voicings are useful. This week I’m breaking down another jazz lick on bass guitar. And I wanted to take on one of the all time great jazz improvisers, John Coltrane. So, I was reading through the bass clef John Coltrane Omnibook trying to choose where I should start. And I decided I should start by looking at how he played over what are know as the Coltrane Changes. Or the Coltrane Matrix as it was called when I was taught it at music college. The Coltrane changes are a sequence of chords that take you through three keys. Each key is a major third away from the previous key. So, the progression always resolves back into the original key. Because an octave divides perfectly into three major thirds. John Coltrane used this progression as a substitution for a standard II – V – I progression. Coltrane used this substitution in his composition Countdown from the Giant Steps album. The Countdown chord progression is a reharmonisation of the jazz standard Tune Up. So, I’ve arranged one of John Coltrane’s licks from Countdown for bass guitar. The lick takes place over three bars and encompasses all three key changes. It starts like this. The first chord, Cm7, is chord II in the key of Bb major. If you’re going to analyse the first two notes in terms of their relationship to the chord then they would be 5th and 11th. But I feel like in this case, Coltrane was just using two notes from the key of Bb major to lead into the new key. Which is why I haven’t written 5th and 11th above the notes. The Db7 chord is chord V in the new key, Gb major. From this point on, it’s really interesting to see how many chord tones John Coltrane uses in his line. So I’ve written the chord tone relationships above the notes. Here’s the second bar. In this bar, the key changes from Gb major to D major (A7). You’ll notice that virtually every note he uses in this lick is either root, third, fifth, seventh or ninth. The only note that isn’t in this bar is the Ab passing note between the root and seventh of the A7 chord. His approach might seem quite simplistic on the face of it. It would certainly seem like a simplistic way of building lines if you were to apply it to the standard, unaltered II – V – I progression. But, if you look at it in context with the chord progression, it makes complete sense. He’s using this incredibly cool substitution, which features constantly moving harmony. And he wants his line to reflect the substituted harmony. If he filled his line with chromatic alterations and extensions, then the underlying chord progression could quickly become unrecognisable. Here’s bar three. In this bar the key returns to the original Bb major (F7). The pattern used on the Dmaj7 chord is very typical of the 1, 2, 3, 5 patterns that Coltrane loved to use around this period. Which is why I’ve put 2nd in brackets next to the 9th, E. Here is the full lick. Analysing these licks is like getting a lesson in jazz improvisation from one of the masters. This lick is very typical off what John Coltrane was playing in the late 1950’s. But, during his career he went through several different stages. Each featuring a different approach to improvising. So I have no doubt that I will be analysing more Coltrane licks in the near future from different stages of his career. In the mean time, why not check out this Jaco Pastorius Jazz Lick. Or if you’ve already seen that you can check out one of my own jazz licks here. 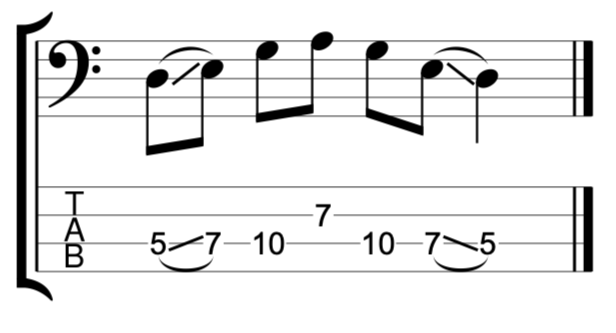 And here is an example of a diminished jazz blues lick. Enjoy! Playing lines in 4th intervals is a very popular sound modern jazz. It’s a very distinctive sound. And once you’ve incorporated it into your playing, you’ll start to recognise when you hear other musicians using it. This video features an exercise that I’ve written to help you incorporate this sound in your playing. If you’re not sure what I mean by an interval of a 4th then check out my video guide to playing intervals on the bass. There are two obvious ways to play 4ths on bass guitar. I believe that if you’re going to be able to come up with basslines in 4ths, then you need to practice and use both ways. The first way is the easy way. You go from any fretted note to the same fret on an adjacent string. The bass is tuned in 4ths. So, as long as you stick to the same fret, you’ll be playing a 4th. This is very simple and you can apply this to playing scales and harmonies. Here is a G major scale played in intervals of a 4th. This way of playing 4ths is so simple, that it can lead to some bass players ignoring the slightly more complicated way of playing 4ths. Which is by shifting position up five frets on a single string. Like this. I think that this element of shifting position, is essential if you’re going to create musical lines in 4ths. 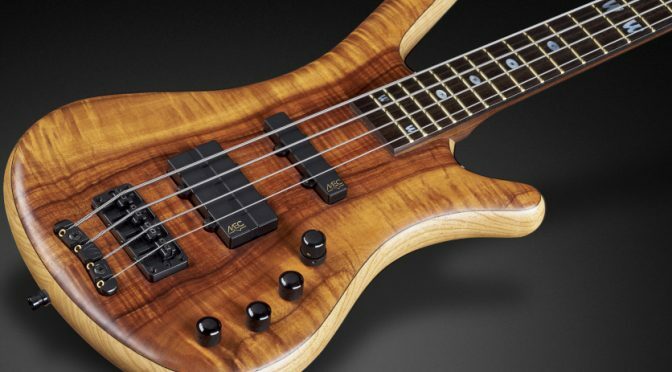 If you only use the first, easier technique, then you’ll very quickly find that you’re stuck in one position on the bass neck. And as a result, it will massively limit your ability to come up with musical lines. So I’ve written this exercise, which is designed to help you practice playing 4ths in both ways. I’ve written it in the key of A major. But, if you want to master it, please practice it in any and every key. The concept is simple. It starts with a position shift from the A on the 5th fret of the E string to the D on the 10th fret. Then you play a 4th interval from the B on the 7th fret to the E on the 7th fret of the A string. So it immediately uses both ways of playing 4ths. Then it repeats the same pattern all the way up the neck until you can’t go any further. And then you play everything the same way in reverse. Once you’ve got used to playing lines in 4ths, start to listen to listen out for the sound of 4ths in other musicians lines. 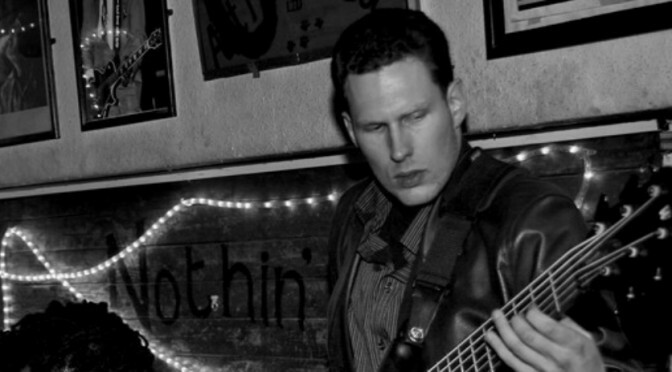 Listen to players like Evan Marien, he’s a brilliant bass player that loves the sound of 4ths in his basslines. 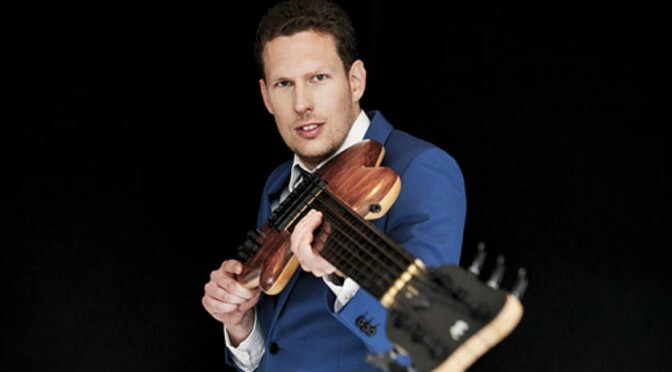 Sliding between notes is an integral part of phrasing on a fretless bass. This video features an exercise to help you practice sliding accurately between notes by using the pentatonic scale. When you slide between notes on a fretless bass, the first thing that you need to concentrate on, is keeping the notes in tune. When you slide, it’s very easy to slide too far and go sharp, or not quite far enough and the note will be flat. So my first advice is to start slowly and use a backing track. Backing tracks are very easy to find for free on Youtube. Here is an example of a backing track in G major that you could use to help you practice this exercise. When you practice with a backing track it’s so much easier to hear when you go a little bit out of tune. 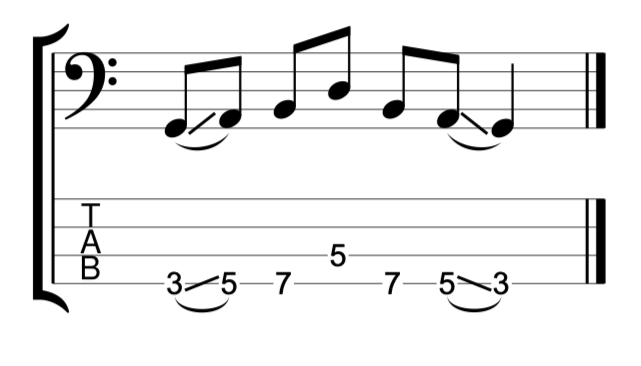 The easiest way to play a pentatonic scale is by playing two notes on each string like this. The reason it’s easy is because it doesn’t involve any position shifts. But it offers very little opportunity to slide between notes. In order to incorporate slides, you need to keep shifting position, which involves playing at least three notes per string like this. You can also practice this on a fretted bass. It’s easier on a fretted bass because you don’t need to be as accurate. But position shifting is an important skill for any bass player to practice. The idea of the exercise is that you always slide with your 1st finger (index finger). Playing three notes on each string, you play the first of the three notes with your 1st finger and then slide up to the second note. You can play the third note on each string with either your third finger or little finger. It’s easiest to use your 1st finger to slide. But you want to be able to slide accurately with all of the fingers on your left hand. So come up with your own variations of this exercise and use different fingers to play the slides. Here’s a variation that I demonstrated in the video which uses your 4th finger (little finger) to play the slides. Another variation that I demonstrated in the video, is to break the exercise down into small sections. Don’t feel like you need to practice the whole scale all at once. Work on each position shift one at a time. Like this. I think that practicing like this actually replicates what you will play in a real musical situation better than playing the whole scale all at once. You could use the example above as a fretless bass fill on a G major chord. And the example below which starts on a D could also be a fill when you’re playing in the key of G.
Just like any scale exercise, don’t forget to practice this exercise in different positions and different keys. And try to adapt the idea of sliding and position shifting to any other scales, arpeggios or technical exercises that you practice. This week during my bass practice, I’ve been composing bass grooves in 6/8. This video features one fretless bass groove that I’ve written. I choose to feature this one because it fits nicely on 4, 5 or 6 string bass. 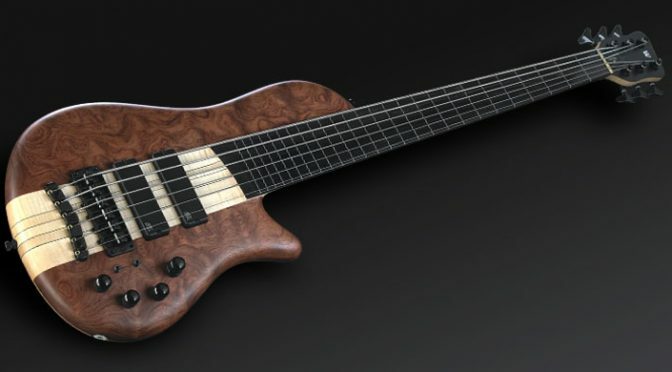 So hopefully all bass players will be able to have a go at playing it. The bassline is in G major. I’ve written some phrasing, by marking some of the slides on the TAB. But my advice is to focus on the rhythm more than the phrasing. Once you’ve got the rhythm of the groove, I think you’ll find that the phrasing comes quite naturally. And I don’t mind if you phrase it differently to me. I think phrasing is very personal and I rarely try to imitate another musicians phrasing too closely. Start by practicing slowly. The full speed is 110BPM and I’ve included a slower version at 70BPM. But I would probably advise starting even slower than that. And make sure that the rhythm is accurate. The rhythm in bar two is particularly tricky. It’s like playing on all of the off beats in a bar of 3/4, but the feel is still 6/8. I’ve written before that 6/8 is one of my favourite meters to play in. You can find my guide to playing 6/8 basslines here. I’ve also written about 6/8 in my upcoming book for Fundamental Changes which will be published this year. This is part two of my complete guide to playing harmonics on bass. This week I’m looking at artificial harmonics (find part one about natural harmonics video here). The term artificial harmonics relates to various techniques where you use your right hand alone to play the harmonics. Artificial harmonics are more difficult to achieve than natural harmonics because you need to do two things at the same time with your right hand. In this post I’m going to look at three different techniques. Many bass players, myself included, discovered artificial harmonics through listening to Jaco Pastorius. I remember as a teenager listening to Weather Report’s tune Birdland and wondering how the introduction could possibly be played on a bass. I was already familiar with natural harmonics. But Jaco seemed to be playing melodies and bending notes with the fluency of a guitar player. The secret was, that he was using his right-hand thumb to touch the strings lightly, while his right-hand fingers were plucking the notes. And, at the same time, he was fretting notes with his left hand and imitating the phrasing of a guitarist bending strings by sliding the notes on his fretless bass. A lot of things going on at the same time! It was Jaco’s technique that I was trying to copy when I first started playing artificial harmonics. But that was only until I found a technique which I found worked much better for me and the way I wanted to play. I haven’t used the Jaco technique in well over 10 years now. After hearing Jaco, the first time that I saw a bass player doing something significantly different with artificial harmonics was on a DVD called Bass Extremes Live. I’m sure many of you are already familiar with Victor Wooten and Steve Bailey’s incredible bass duets. But at the time I first saw that film, I knew all about Victor Wooten, but I didn’t know Steve Bailey. 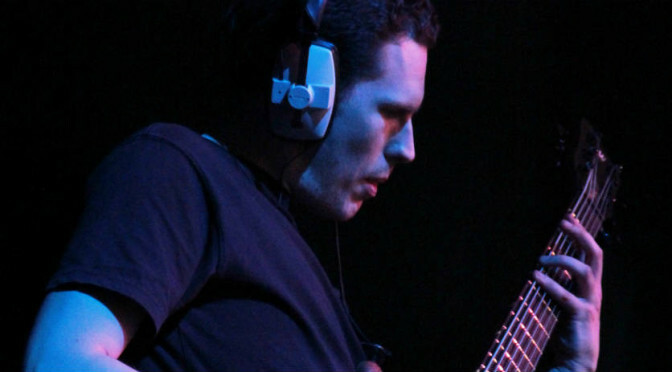 Steve Bailey was making incredible arrangements using artificial harmonics on a six string fretless bass. He was playing chords using bass notes and harmonics played simultaneously, which seemed impossible, even to someone who was already well familiar with Jaco Pastorius’ repertoire. The Steve Bailey technique involves straightening your index finger on your right hand. And using it to lightly touch the string. Then you can use your third finger to pluck the string at the same time. Meanwhile, your right-hand thumb can be used to play bass notes. Once I’d learned this technique I never went back to the Jaco technique. Because I found that I could play everything that I was doing before with the Steve Bailey technique but I could also play chords using artificial harmonics. I don’t want to get into a debate about which technique is better or worse. We’re all individuals and Jaco’s technique worked for Jaco and Steve Bailey’s technique works for him. And personally I’ve found that Steve Bailey’s technique works for me as well. Recently I made a video which I called Improvisation on Three Basses. The idea for that video came because I was playing the chords of Miles Davis’ tune Flamenco Sketches using an artificial harmonics technique that I’ve seen used by guitarists like Ted Greene and Tommy Emmanuel. But I’ve never seen it used by a bass player. I was wondering if I could adapt it to playing chords on a bass guitar. So I tried out playing one of my favourite chord progressions. I was amazed by how well it worked. And it led me to wonder why I haven’t seen it done before. The technique involves using your index finger to touch the string. Then plucking the same string with your thumb and then using your third finger to play notes on other strings. Here is the exercise that I wrote and played in the video using this technique. This is an extended version of the same idea. It uses a chord progression that starts with an Emaj7#11 then F#m11 and G#m11. Here’s my bass arrangement of Auld Lang Syne. This is my second New Year as a parent. Since becoming a parent my New Year’s celebrations have become much more mellow. I haven’t taken a New Year’s Eve gig these last two years because parental responsibility takes precedent. It feels strange, because I’ve been playing somewhere on New Year’s Eve for at least 10 straight years prior to this. But these days I can’t think of a better way to ring in the New Year than with a nice mellow arrangement of Auld Lang Syne on my six string bass. There are a number of ways you can approach harmonising this tune, and I didn’t spend very long coming up with this arrangement. I didn’t write the arrangement down, I just worked out a few things by ear before I hit record. The loose structure of the arrangement is as follows. I played the first half of the song solo, using simple I, IV, V harmony. I intentionally set it in a key where I could utilise the open strings as bass notes. Then I added some jazz chords and alterations in the second half and immediately overdubbed the melody for the second half of the tune. This was actually one of the quickest videos I’ve done. The shooting of it didn’t take more than five minutes. But I’m happy with the results. Sometimes playing something “off the cuff” is the best way rather than overthinking it. I hope you enjoy this bit of bassy mellowness, whether your New Year’s Eve is mellow like mine or a bit more exciting. And as I stated in the video, I hope that the coming year gives you many opportunities to play the bass!